2pc Mild steel V Band rings & one 304 SS clamp. 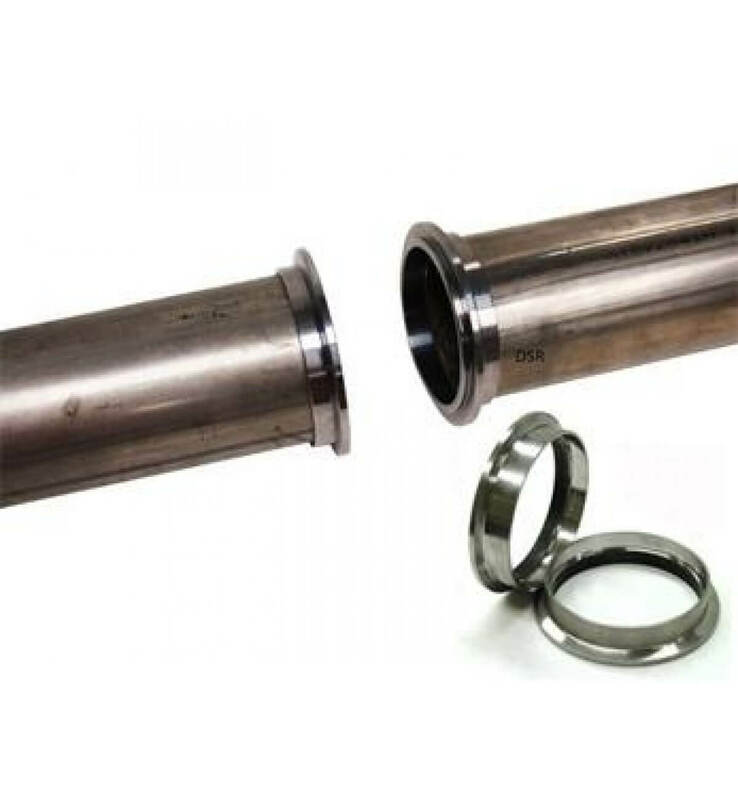 This 3.25" center hole V-band weld flange is designed to slide over a 3.25" exhaust pipe - With out the messy look and difficulty of normal style flanges. This flange is CNC machined in NZ from high quality Mild steel. Heavy duty stainless steel ( 304 ) CNC machined V-Band clamp for mating these two rings together for a perfect seal. This clamp is also made from stainless steel. 4.5" refers to the clamp diameter. 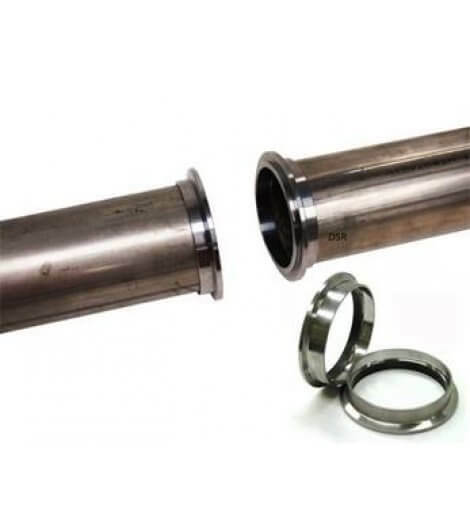 The clamp is used for industry standard 3.5" v-band flanges that have an outer edge of about 00 mm to 00 mm. 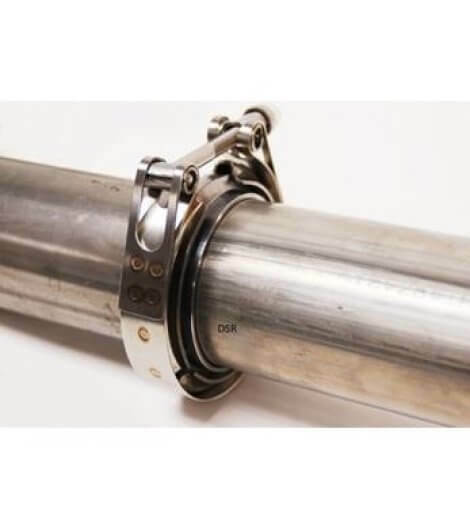 3.5" refers to the outer diameter of the clamp used on this size v-band flange. 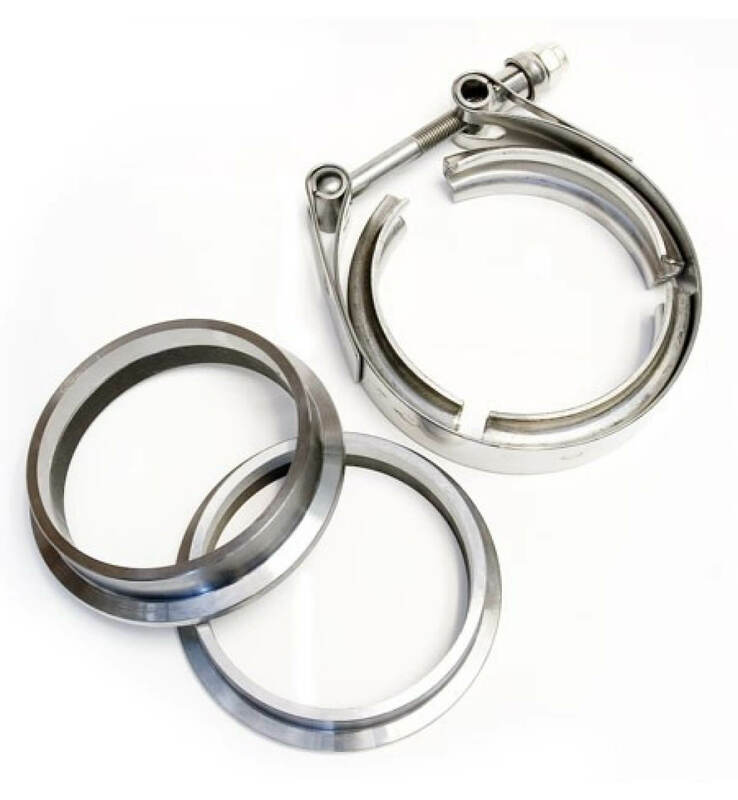 2pc ring & 1pc clamp only.